Lynhurst OPM Report 16th and 17th March, 2019. 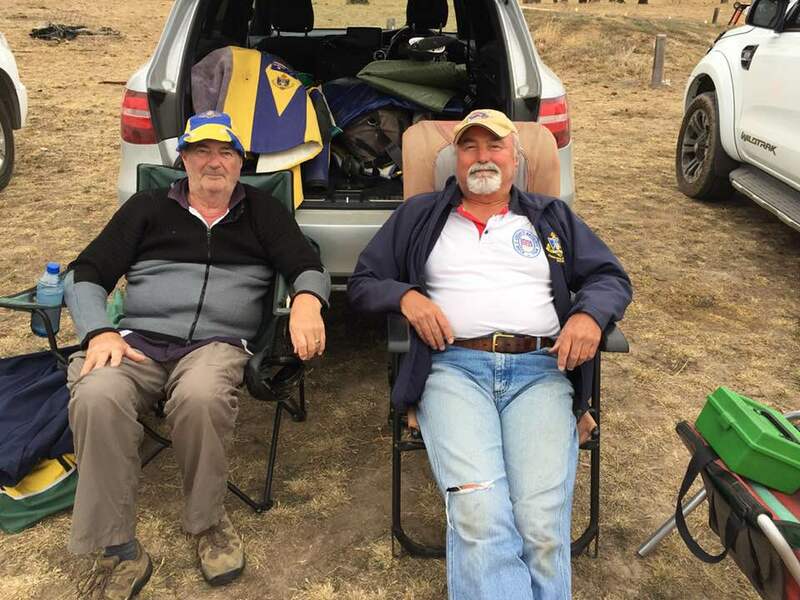 Roseville’s “Fearless Five” Mark Buchanan, Tim Walter, Mike Hodder (aka Marcus, Tom Walker and Uncle Mike) and Alan and Eva Patrick drove to the Royal Hotel, Carcoar arriving Friday evening. After settling in and a few drinks at the bar we had dinner in the restaurant followed by deep and meaningful discussions. Saturday was warm and overcast. The paddocks were in a parlous state, quite different from when I was last there a year ago, when the grass was lush and tall. The program was for 2 + 15 at 500 and 600 yards. At the 500, shooters had a walk up start with 10 on each of the 5 Kongsberg targets. The mounds are raised above the paddocks and are level, topped with fine gravel. Wind was light to moderate from the right. Tim had trigger problems and borrowed Mike’s until later in the day when Mal worked on it and got it going again. We were treated to a procession of cattle moving from the left, firstly in singles, gradually increasing in numbers. They were unfazed with the projectiles flying well over their heads. Some great scores resulted in several cases, mediocre in others. There was a lunch break between ranges. Conditions at 600 were like the morning and results were also well spread out. At one stage several cattle were up against the fence, just below the targets. Just as well no-one had forgotten to change their elevation from the morning’s shoot! Mike had the unusual result of being first and last in the same competition. Mark, Tim and Mike had dinner at the hotel [in his absence, Mark won the Lucky Door Prize for TR ($100 voucher from NSWRA store) drawn on the Sat night in the clubhouse!! The Patricks returned to the range for a roast dinner. Sunday’s program was 2 + 10 each at 500 and a double 600. Conditions were similar with variations in strength, direction for the last range. Each of us competed in a positive manner, but it’s fair to say that we were all disappointed not to have performed better. This is the second time I have been to Lyndhurst and can thoroughly recommend shooting there. The meeting is well run in a low-key manner. Everyone is friendly and co-operative. The range has challenges due to the topography of the farm.